For the Chinese zodiac, February 16, 2018 begins the Year of the Dog, the zodiac animal that best embodies loyalty. The 11th sign of the Chinese zodiac, a person born under the sign of the Dog is sympathetic and intelligent. If you benefit from their friendship or love, a Dog will never disappoint you. How gorgeous is that? Honest, faithful and a little bit jealous, the Dog is also irascible in nature whenever he or she lets themselves be won over by anguish and pessimism, or when their habits are upset. In the professional world, the Dog is often a lawyer, judge, police officer, teacher, educator, priest, doctor, philosopher, critic or writer. But back to beauty. 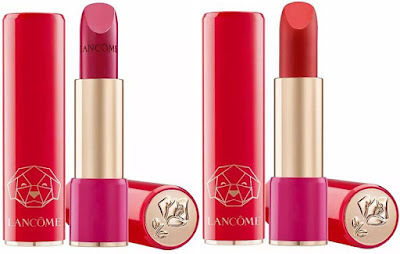 This year Lancôme is celebrating Chinese New Year with some very special, limited edition versions of a few of their star products. 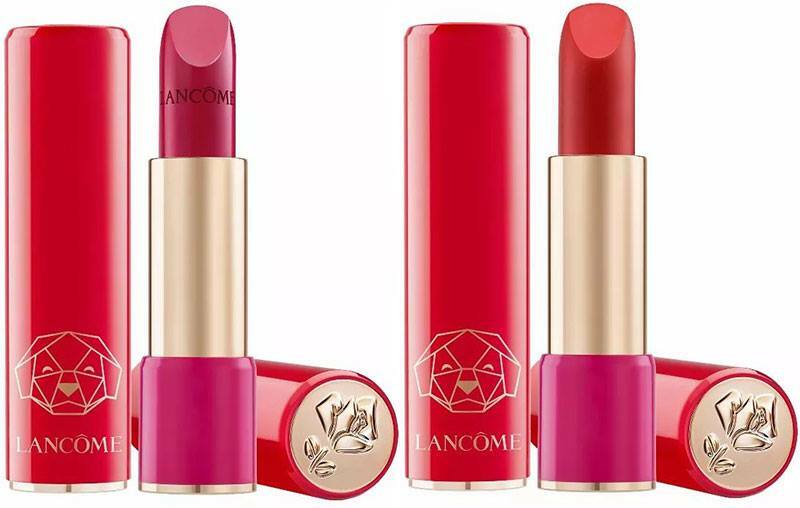 Two shades in the famous L’Absolu Rouge Lipstick line come packaged in red, with a red lacquered cap adorned with a dog to remind us of loyalty. 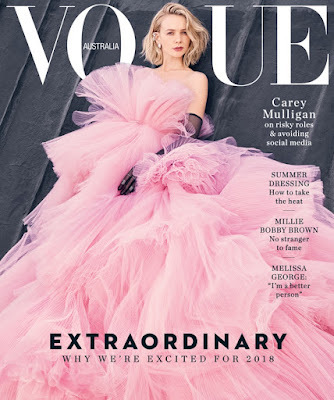 The two shades available wearing this opulent costume are the classic 178 Rouge Vintage (a perfect matte) and 368 Rose Lancôme (a statement cream), RRP $60.00. There is also the gorgeous, super sized 100ml Chinese New Year Genifique Serum, which sees the iconic must have’s bottle and outerbox dressed up in red and starring the Lancôme dog. Suggested retail for this beauty is $295.00, and I predict that fans will go mad for it. Also pictured in the festive visual above featuring spokesmodel Taylor Hill and the CUTEST puppy is a limited edition cushion, but alas, that’s not available in New Zealand. Shopping trip to Shanghai, anyone? A product I never knew I needed and then tried and found I couldn’t live without, Bobbi Brown Extra Illuminating Moisture Balm is a creamy moisturising formula that is perfect for dry or older skins. It has a very fine, pearlised pale gold shimmer to give skin an illuminated, radiant, healthy effect, and it can be used as a highlighter or in any number of other ways depending on your skin type and desired end result. Having said all of this, I was super excited to hear that Bobbi Brown Cosmetics has just introduced the Extra Glow Collection - a beauty dream team of products for creating fresh, glowing skin that includes my beloved Extra Illuminating Moisture Balm in new radiance-reviving shades! You can now get an illuminating pink and bronze glow with the same great moisturising, plumping and instant radiance benefits of the original, and I am thus far loving Golden Glow for a summery boost. They come with an RRP of $120 but a little definitely goes a long way (especially when the air is humid), and I pretty much guarantee you’ll fall in love with the formula from the get go. As well as a highlighting powder and a handy, portable skincare palette that features Extra Face Oil, Remedies Skin Salve No. 57 and Extra Soothing Balm, the Extra Glow Collection also features a line up of Extra Lip Tint ultra-moisturising lip stains that have all the benefits of a balm. This season, the classic Bare Pink shade comes with a slight twist in the form of Bare Pink Sparkle - a limited edition pearl version that blends with the natural tone of your lips to enhance and offer an extra soft summer glow, creating the perfect just-for-you shade. With an RRP of $65 this is next on my wish list, and should be on yours too! The Bobbi Brown Cosmetics Extra Glow Collection is on counter now. I was away in Wanaka last week and used it as an excuse for a digital detox of sorts, so I’ve only just now taken the time to check out some of the looks from the 75th Golden Globe Awards. SO much black, and so much of it worn so well! It takes a great beauty look to pull off an all black ensemble and really stand out from the crowd, and the incredible Penélope Cruz, Lancôme Ambassadress and Golden Globes presenter, did just that. 1. First, I like to multi-mask with a clay mask and a sheet mask. I then drench the skin with moisture massaging the Rénergie Day Cream using my angel wing technique and Tilbury-tapping in eye cream around the delicate eye area to ensure the makeup goes on like magic. 2. Then I use La Base Pro as a glow primer before foundation as it soft focuses pores and lines, redirects day-light and camera light to more flattering angles of the face to give a dewy, youthful radiance and makes everyone’s skin look lit-from-within. 3. On Penélope I created a foundation base using Teint Idole Ultra 24H Long Wear Foundation that minimized shine in the right places, mattified the T-zone and gave her cheeks a healthy, youth-boosted glow. 4. I then lined the eyes with the Grandiôse Liner in Matte Noir to lift, creating Penélope's signature feline flick. 5. I then used Color Design 5 Pan Eyeshadow Palette in Bronze Amour to prime the eye with a champagne shade back and forth across the eyelid. I then used bronze shade, followed by the copper shade around the outer corner of the eyes. I finished off with the chocolate brown shade along the lash-line. (please note this product is not available in NZ). 6. I completed her eyes with lashings and lashings of the Grandiôse Mascara. 7. I lined the lips with an incredible iconic pillow-y lip liner, and then filled in the lips using L’Absolu Rogue Lipstick in Crème de Marron. 8. I swished and popped the golden-flecked Blush Subtil in Aplum onto her cheeks. 9. For a finishing touch, we added a spritz of Trésor Eau de Parfum before Penélope stepped onto the red carpet. In one heck of a major coup, Revlon has announced the amazing, real life Wonder Woman Gal Gadot as their new Global Brand Ambassador. She was chosen for both her astonishing looks and inspiring spirit, which is the embodiment of what it means to Live Boldly, Revlon’s new campaign designed to inspire women to express themselves with passion, optimism, strength and style. Revlon’s new Live Boldly campaign will launch later in the month and come with a new multi-media campaign that will be brought to life through a series of experiential activations and cultural immersions designed to bring women together around powerful conversations, shared experiences and a celebration of diverse beauty. Gadot – actress, wife, mother, former soldier, former Miss Israel, and advocate for women – will be joined by four additional brand ambassadors, to be announced later in the month, who powerfully represent the ethos of living boldly and will be featured as part of the Revlon’s Live Boldly campaign. Gadot will begin appearing on behalf of Revlon across all media platforms as of now - expect something truly special. I am officially obsessed with the new NARS Velvet Matte Foundation Stick, and since having one to play with, have barely worn anything else. The versatility of a stick is one of its major pluses, and the portability when it comes to travel and touch ups on the go is equally as awesome. 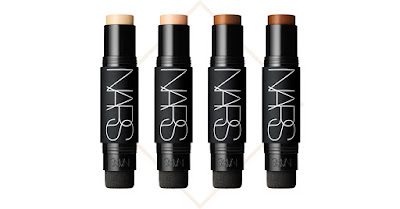 The fact that this versatile stick has a creamy, velvet texture - allowing you to stay matte, not flat all day long. – means that it’s a great choice for summer days and nights, and the built-in, Touch-Up Blender for all over coverage or touch-ups on-the-go makes it my road trip cover up of choice. 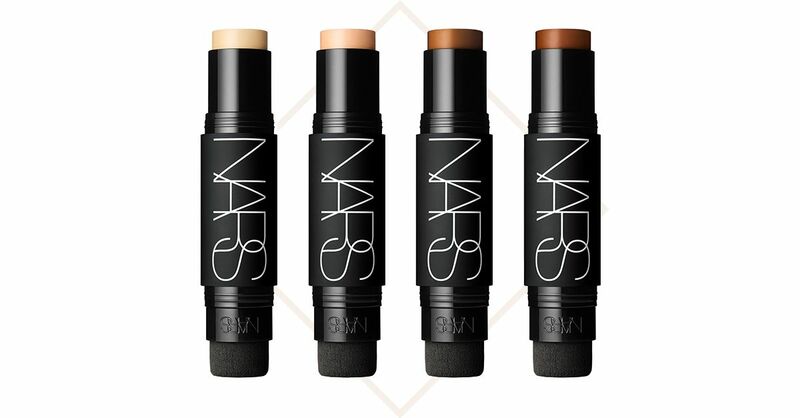 The all-in-one matte foundation stick and pro tool has a beautifully creamy, blendable texture that layers easily for medium to buildable coverage. Matte Rebound Powders are included in the formula to enhance the glide and comfort of wear, while mattifying – but never caking - the look of skin. Elastomer micro beads provide extreme flexibility and elasticity to help prevent creasing by adapting to movement without settling into lines or wrinkles, whilst ginger root extract and vitamins A, C, and E are in there to support natural antioxidant protection and defend skin from environmental damage. I love that the foundation can be applied multiple ways: with your fingertips, directly from the stick, or with the included removable Touch-Up Blender, to create various effects depending on your mood (and skill set). You can use the Touch-Up Blender to stipple or buff foundation in targeted areas, and to sculpt the face with a lighter shade for highlighting and a deeper shade for contouring. Anti-bacterial, the wee blender can also be washed with warm water and mild soap or shampoo. Just blot away excess water and allow to air dry before using again – too easy. NARS Velvet Matte Foundation Stick is in store now at Mecca Cosmetica and online in New Zealand at www.meccabeauty.co.nz, and has a very reasonable RRP of $66 so you can build up a wardrobe of shades over time. Go on, you know you want to!